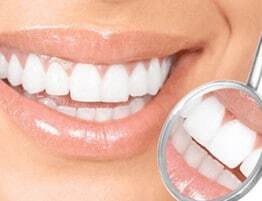 The positive health benefits of smiling are well documented. In a scientific paper titled “Smile Intensity in Photographs Predicts Longevity,” for example, researchers found that high school students who smiled in yearbook photos also exhibited better health and feelings of wellness through their young adult lives. This finding supports other studies that draw similar parallels between perceived happiness, smile frequency, and long-term health. One of the greatest benefits of smiling regularly is improved cardiovascular health. Specifically, researchers have found that individuals who think they “smile more” than average have lower amounts of arterial plaque than do other individuals who smile less frequently. These findings are important, as arterial plaque buildup can slowly block blood flow and cause heart attack or stroke (i). Reporting for Psychology Today, Melissa Blake explains that frequent smiles have the ability to bolster our immune system. Writers for Senior Life Health attribute this phenomenon to the way smiling relaxes muscles, reduces tension, and promotes a more positive stress-free body environment. Even when forced, researchers say a simple smile can cause a chain reaction that ultimately reduces anxiety. This was demonstrated by monitoring the brain activity of participants who were asked to grip a pencil in their teeth, an activity that activates the same facial muscles that are used to form a smile. While performing this simple task, the pleasure centers of participants’ brains became active just as they would during a normal, natural smile. This brain activity indicates that a surge of feel-good endorphins is likely triggered when forcing a smile, which helps to curb feelings of depression and anxiety. Numerous studies indicate that individuals who regularly smile and laugh have a longer life expectancy and better overall quality of life compared to those who do not. One such study, “Happy People Live Longer,” was published in January of 2011 by Abel and Kruger (noted in Infographic above). There has never been a better time to live a healthier life with a beautiful smile! 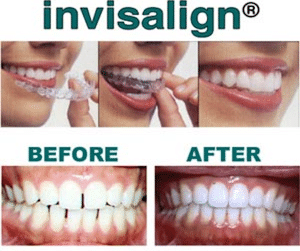 No and through December 31st, 2013, receive $1,000 off all Invisalign Invisible Braces at Assure A Smile, an Invisalign Premier-Preferred Provider. For more information, visit our Invisalign page online or call our front desk directly at 305-274-0047. (i) “Cholestoral and Artery Plaque Buildup.” Accessed 11 November 13.